Great Leadership: Leadership Development "Moneyball"
“Moneyball” was a book and movie based on Oakland A’s general manager Billy Beane and his use of statistics (sabermetrics, to be precise) to get the most production out of his team by spending the least amount of money. Here’s some statistics on leadership development based on what I’d consider highly credible research. Use it to outfox your competition or to sound like a smarty-pants at your next networking event. Hewitt’s 2005 study showed 100% of the top 20 companies for leadership development had CEOs who were actively involved in developing leadership talent, compared with 65% of other companies (outside the top 20). 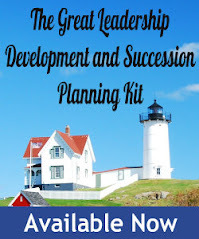 DDI’s Global Leadership Forecast 2011 notes that barely more than 1 in 3 organizations report that leaders have high-quality, effective development plans, despite the fact that having effective plans is related to the quality of leadership development.